Kunzite | Gemstones from A-Z at Rocks & Co.
Back Home Gemstone Information Kunzite | Gemstones from A-Z at Rocks & Co.
Kunzite was discovered in California around 1902 and was named in honour of George Frederick Kunz, the gemmologist credited with its identification. Mr. Kunz is a legendary figure in the world of gem, his knowledge saw him employed as the resident 'gem expert' at that iconic jeweller, Tiffany & Co., becoming their vice president by the age of 23. Kunzite wasn't the only name for this gemstone; it was also initially traded as 'California Iris'. 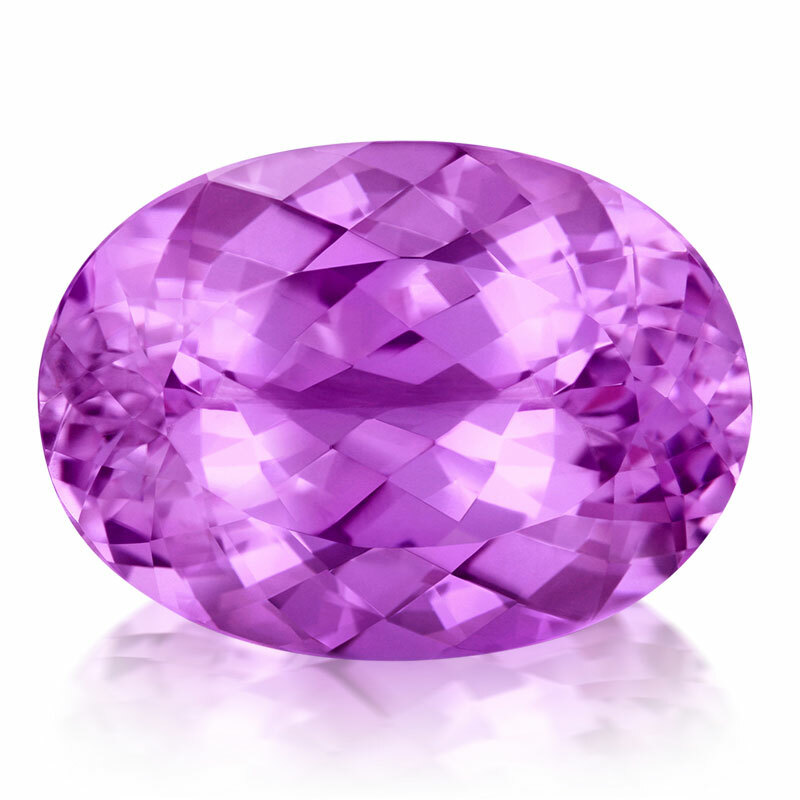 While it is classed as a rare exotic gemstone, Kunzite’s colour intensity has a big impact on its rarity and value. Named for its mine, Patroke Kunzite (pronounced pa-tro-kee) hails from the Kunar Valley in Afghanistan’s Kunar Province. The vivid highly saturated colours of Patroke Kunzite are extremely unusual and highly prized - most Kunzite is pastel toned. A 20th-century gemstone, Kunzite has no real 'mythology' other than its colour. Its pink hues make Kunzite a quintessentially feminine gemstone, its colour typically linked to love and romance. Metaphysically, Kunzite is sometimes connected to the heart chakra, the body's fourth energy point, linked with the emotions of love and compassion. Kunzite is a colour variety of Spodumene, from the Greek 'spodumenos', which means 'burnt to ashes', in reference to Spodumene's light grey colour. This mineral's colour variants are due to trace elements of iron (yellow to green), chromium (medium to deep green) and manganese (pink to purplish-red). While Spodumene's other colour variants are technically called 'Spodumene', the commercial names 'Green Kunzite', 'White Kunzite' and 'Yellow Kunzite' are also sometimes used. 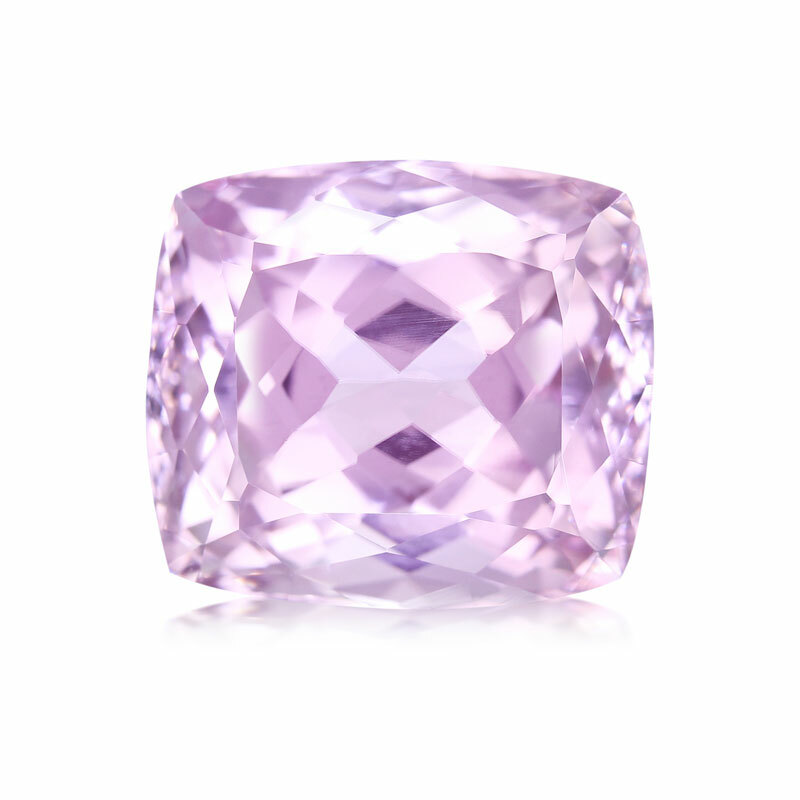 Kunzite's most important consideration is its colourful brilliance, with the deeper shades commanding higher prices. Kunzite's crystals occur with reasonably few inclusions, so the standard is eye-clean (no visible inclusions when the gem is examined 15 cm from the naked eye). The most common cuts are oval, emerald and cushion. Regardless of the cut, look for an even colour and good brilliance. An interesting characteristic of Kunzite is its 'phosphorescence', which is its ability to glow in low light conditions after exposure to the sun's ultraviolet rays. Kunzite loves of incandescent lighting. Kunzite is also strongly pleochroic, meaning its colours and their intensity change when viewed from different angles. As the top and bottom of Kunzite crystals have the deepest colours, the lapidary must take care to orientate the crystal to accentuate its most desirable colour. Kunzite is predominately mined in Afghanistan, Brazil, Madagascar and Pakistan, although the original deposits in California occasionally still produce the odd gem quality piece.